Home » WordPress Plugins » Yoast SEO » How do I change the breadcrumb title? How do I change the breadcrumb title? For advanced breadcrumb modifications, we have several developer filters. When you may have long titles for a post, page or taxonomy, you may prefer to use a shorter title for the Yoast SEO breadcrumbs. 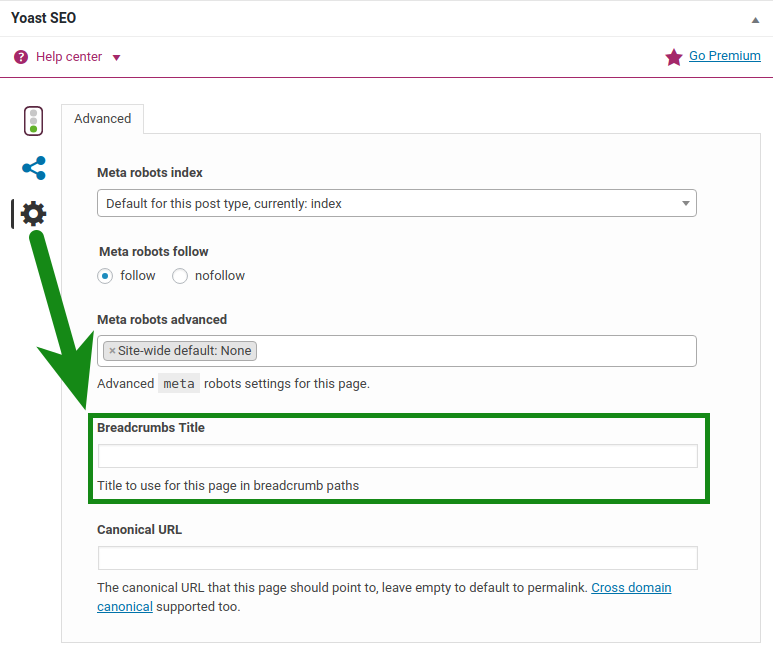 Each breadcrumb level can be changed on the corresponding post, page, or taxonomy under the advanced setting tab of the Yoast SEO metabox. Navigate to the post, page or taxonomy. On the left-hand side, you will see a menu. In that menu, navigate to the post, page or taxonomy you'd like to add a custom breadcrumb title. Click on the 'Advanced' gear icon. 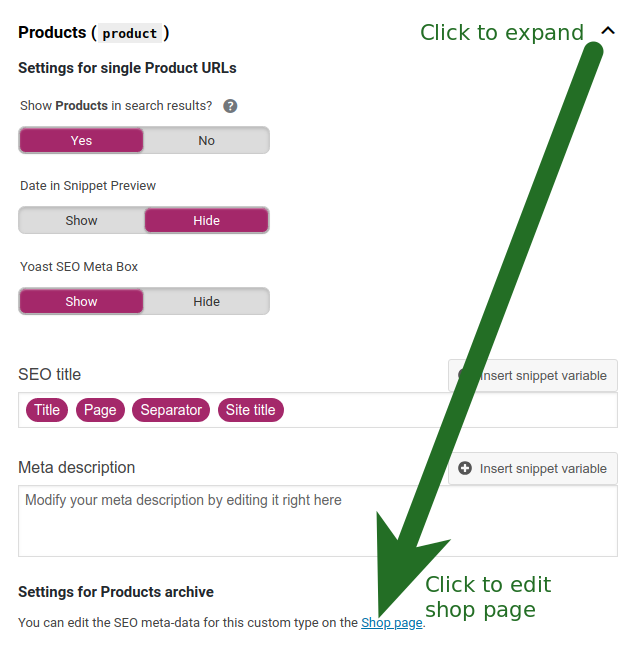 Scroll to the Yoast SEO metabox and click on the advanced settings. 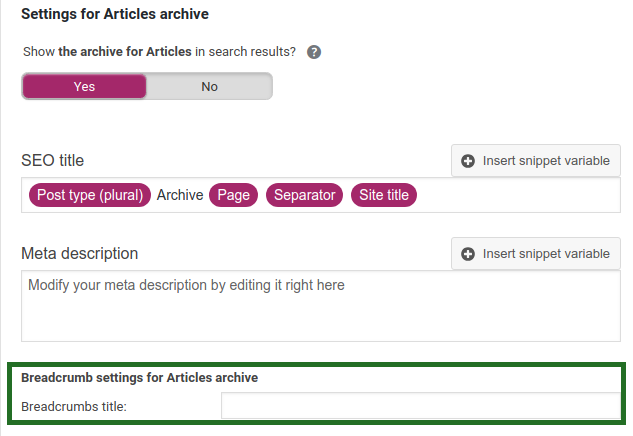 Some custom post types have a custom archive page and you can change the breadcrumb title in the Yoast SEO settings under SEO → Search Appearance → Content Types. The ‘SEO’ settings will expand providing you additional options. 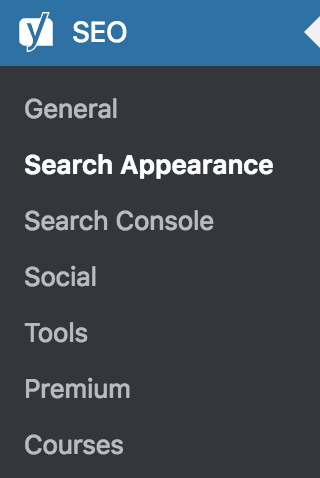 Click on the 'Content Types' tab. Expand the custom post type section. Under the 'Settings for [CustomPostType] archive', you can add or change the breadcrumb title. Expand the ‘Product’s post type. Scrolling to the ‘Products’ post type and expand the post type by clicking the arrow. Click the link to edit your shop page. Near the bottom of the box, you will see a heading ‘Settings for Products archive’. Click the link to edit your shop page. Click on 'Advanced' gear icon. If you have enabled breadcrumbs, you can change the breadcrumb title.